Today is Earth day, created 43 years ago to raise awareness to environmental issues, and also the beginning of National Park week. From today on through Friday the 26th, admission to all National Parks is free. So celebrate the beauty of nature by visiting your favorite National Park. To find a Park and activities offered you can follow this link. 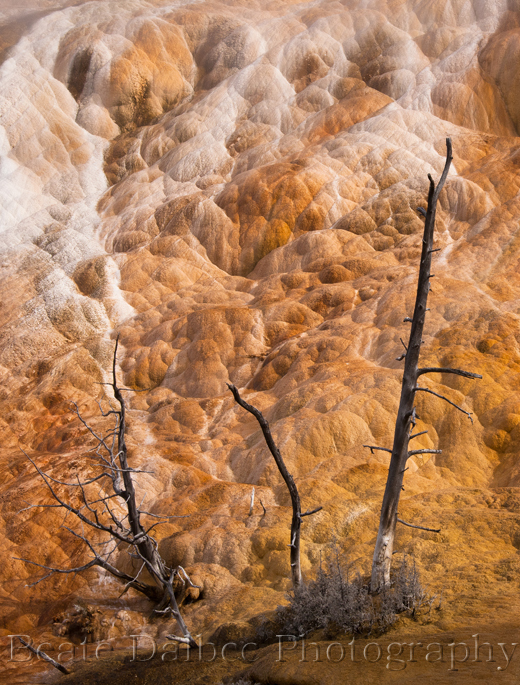 The above image was taken Mammoth Hot springs in Yellowstone National Park, the oldest of all the parks and one of my favorites. There are few places on earth where the forces of nature are so evident.